Our Program CNC Code Shooter has several clean awards because we will never have adware, spyware or viruses in our program. Currently you can use this program for free !!! The examples below show how to install CNC Code Shooter. These examples will show you how to make the program run successfully. If you follow the examples you will notice that you must select Run as Administator for the program to run properly. Windows will say this program may harm your computer, it won't. Our program has no malware or adware! Click more info and run.. Select the compatability tab then select to Run as Administrator. This way will remain set up to Run as Administrator and you won't have to set it up every time you run the program. 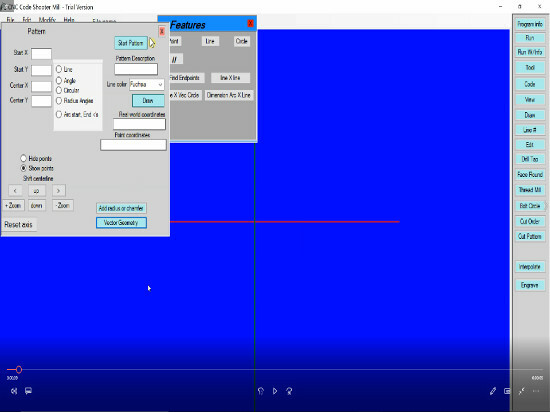 (see example below) This process will make the CNC Code Shooter run properly. Then click apply button to save changes. You can also run program by clicking start button on task bar select all programs then select CNC Code Shooter. Right click on CNC Code Shooter then select Run as Administrator. (see example below)This process you will have to set Run as Administor every time you run CNC Code Shooter.